I’ve always thought that the vintage Chocolate Mint was one of Bonne Bell’s best designs. I have to admit I’m a bit sad it has gotten a makeover and dropped the chocolate font and balm color. Strangely it looks baby blue in some lighting. But I’m happy that it’s here and that the formula is so good. Overall Bonne Bell has been nailing these retros. Keep them coming please! This collection is great. I hope this one comes out in stores, along with the trio in this collection. Maybe they should put all four flavors in a pack together! You know, like those trios that come with a bonus flavor. I hope they come out with banana marshmallow. Is it just me or can you actually taste the mint chocolate chip by seeing the classic green and brown? Shame they switched up the color. How cool is this?! I still can’t help but wish they’d stay true to the old size (BIGGY! ), colors and fonts. This is cute, but its probably too similar to the Paul Frank version that I already have, so I wouldn’t get it. I have always wanted to try this one!!! I hope it pops up in stores too!! I just found your website after falling back in love with lip smackers recently. I grabbed two trios after valentines day– the donut trio and cookie trio I think it was, both full of super sweet yummy flavors! You’ll be disappointed. The formula has been changed recently and Dr. Pepper now smells weird. NooooOooOooooo… I was so afraid someone might say that 🙁 I saw a post that alluded to a change In the Dr pepper but I was hoping I was reading too much into it 🙁 I know I still have a Dr pepper biggie somewhere that’s not too old… I hope it turns up someday. Sighh… did they change the outer package too, like is there a certain one I should stay away from? That stinks 🙁 I appreciate the heads up!!!!! 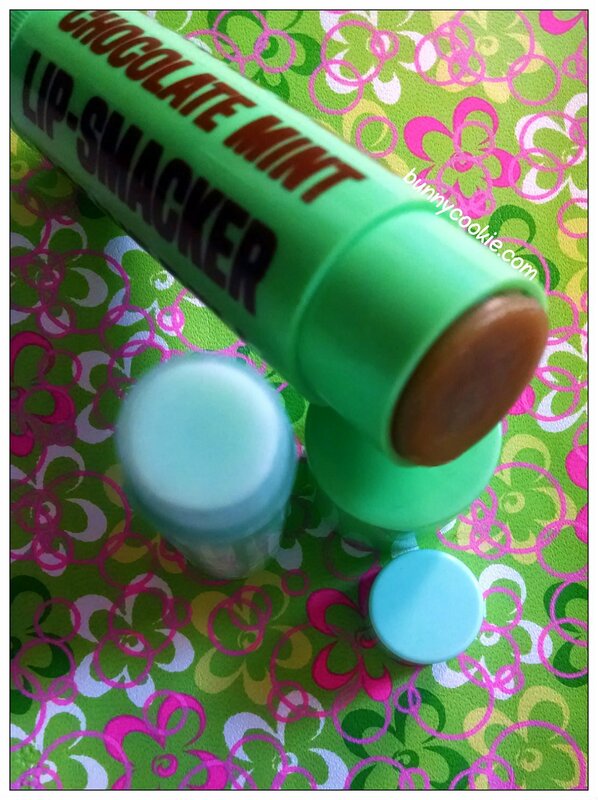 I am so jealous that you have all the retro lip smackers to match and compare with the new ones. You have an amazing collection! Yea the new formula for DP smells like a flat cola. I got a ift set on ebay that had the year 2010 on it and it was the original DP so I lucked out. Best of luck to u.
Yeah, the new DP formula tastes and smells awful. Whatever they did with it didn’t turn out right. Bunny Cookie, may you please review the Easter Lip Smacker flavors? I really wanted to know if you liked strawberry cream frosting. I LOVE IT, but I didn’t know if you agree. I ordered the new Easter flavors and look forward to them. What is strawberry cream frosting like? Is it similar to the strawberry frosting that’s already out there? I LOVE that one! I look forward to buttercream frosting too. Im awaiting Carrot Cake, Bubblegum Egg and Pink Chocolate. I really like Jelly Bean. Do you like the pink chocolate? I do! It reminds me of the strawberry cream from the Duvalin mexican candies I used to eat as a child. I had a flashback of it once I smelled it and I haven’t had one of those in over 20 years, crazy! I wish to see these in stores, but now the Lip Smacker shelves in stores are being changed out with non- Lip Smacker/ Bonne Bell products. I bought this one and love it! It smells just like mint chocolate chip ice cream. I like it better than the PF version! Yum!!! I love mint chocolate chip ice cream flavored anything!! I’m going to order it now! I think you would really like it! I am not an ice fanatic, but it immediately reminded me of the ice cream, more so than the Paul Frank one which is good, but came off a little more like peppermint cocoa than ice cream. Celeste, These totally taste just like Mint Chip Ice Cream!!!! Yum I love them! I found two singles at Rite Aid 🙂 Thank goodness because the website is sold out of this flavor now. Omg! If its tingly I MUST have it. Can u get me one Emma and I can Paypal u the money? My Rite Aid is outta the trios. Apparently they have been since I was last there. Maria, My Rite Aid doesn’t have the trios; the chocolate mint that I found was a single. I bought the last two. I will go back and check to see if they have anymore and let you know! Yes I do like Pink Chocolate Celeste. But Bubblegum Frosting is by far my favorite Easter Lipsmacker. I have 5 of them! I jus LOVEEEE that flavor! Well jus let me kno Emma. I know it was a single. U mentioned it earlier in the post. My Rite Aid says they should be getting more trios so we shall see. I really wanna get an extra of ALL the novelties. Pretty sure I’m gunna do that. I also wanna get some more Bubblegum flavors. I’m still using Tropical Punch. Its almost half gone. Its so weird cuz I usually hate fruit punch of any kind. I may jus check the Rite Aid on the other side of town. My Rite Aid was where I found the “Lemon Square” single. Maybe they will get Chocolate mint too? Ohhh ok! That would be awesome! Definetly! I hope that with the new management, lip smackers become more easy to find. I want to see a whole section dedicated to them, not cluttered with crappy Lotta Luv and Monster High lip balms. Celeste, LS has replied to several people on Facebook saying that they’re working on consistency, but stores decide how much of a product and which products of a brand their going to carry in stores and they can’t give a guarantee. They added, if you want to see it in your store, ask the manager to carry it in the cosmetics section. I don’t know if that’s ok or what or if that would happen, but like why would I do their dirty work for them? Why do we have to ask them to do that when other cosmetic brands are sold in various stores without any problems? You see Wet n Wild cosmetics in almost every drugstore and grocery store, when Lip Smackers rarely have a place on an actual isle. This is true and a lot of those brands aren’t even good quality. I miss the days when I could go into a drug store during the holidays or walmart and see a whole array of lip smacker products! Walmart used to have a whole section of lip smackers. I hate the new way they designed thier letters. I miss the whimsical look they had. They must not have good retail sales representatives or maybe they don’t have any! The sales reps are the ones that try to convince the managers to carry thier products. That’s a silly request, I don’t work for them; I’m a consumer they are the ones that need to make it convenient for us buy. Exactly. 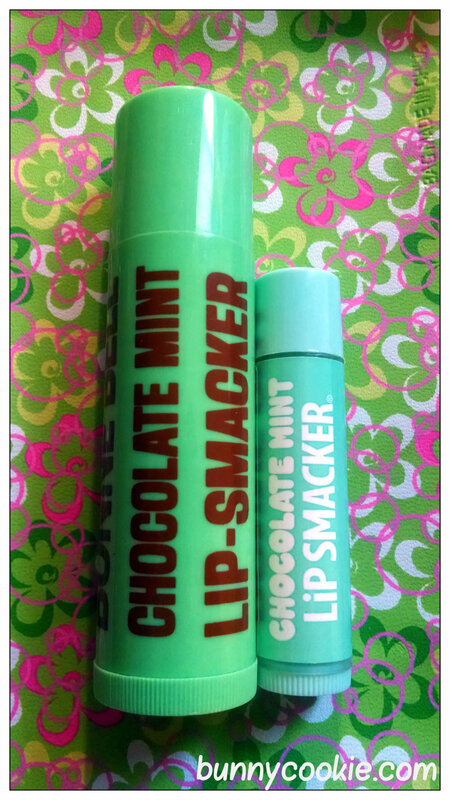 Plus there is a demand for Lip Smackers, and more people would buy them if they were more easily available. I’ve seen numerous complaints from Lip Smacker fans that they can’t find their products in stores, and some Lip Smacker products aren’t even sold on the website! Correct, Celeste and Renee. We’re the consumers, we don’t work for them! It’s not our job, it’s their job. I even saw it on Bonne Bell’s Facebook page as well (not just LS). The only thing I could say is their reps are having a hard time persuading the stores in carrying their products. I remember the research I did, stores were either downsizing or eliminating BB/LS because of other brands becoming popular (Wet N Wild, NYX, ect…) and they have to make room for them as well as the market becoming more competitive. And lets face it, where was BB/LS ads? Then the case of how popular it is? And during my research, lip gloss sales were going way, way down and lipstick sales are still high. Do stores (like Target, Walgreens, CVS, ect..) make money off of BB/LS? Is so, then that could also be a reason why their not stocking up on the brand. Seven years ago, my Target didn’t have NYC, Rimmel, Wet N Wild, or NYX section. Now they do. With the news of the sale, I believe it’s gotten popular again because people are now “aware” of a brand they used in their youth and it being sold when they stopped using the product. But how long will it last? How many people won’t forget down the road from one year or two? How many people came back? Agreed! I jus hope the quality don’t change. I will be so sad if it does. Its a difficult product for them to sell, no doubt about it. Other people who try to get well liked products in stores like Coca Cola and water bottles, have a WAY easier time! It all starts with how they choose to market the product. Marketing is suppose to begin the sales process by creating an interest in and attachment to the product. When you market is sub par and you spend years focusing too much on selling exclusively to kids, you can’t expect the reps to get the stuff in the stores easily. Companies have to constantly stay ahead of th competition by being innovative and unique from other brands. I agree that the sale of the company reinvigorated interest in the brand. Now that they have a captive audience, they need to rebrand and start targetting the adult consumers who grew up with the product and have buying power that children don’t. If they don’t keep the interest going, then they are going to be doomed years from now. There should also be more advertising on it as a whole. Magazines, online ads, commercials, etc. They should create polls to what flavor they should come out with next, and it would be awesome if they had a celebrity’s face to help advertise their brand. They should also expand their line of cosmetics into something that adults wouldn’t be embarrassed to use. These are all great ideas. It costs money, but advertising will help them out. Real advertising, not some random person (who probably makes more money than me) running the FB page who can’t spell. lol I remember the 2000s commercial, with the song, ‘who’s that girl smackin’ on that lipgloss….hey, hey girl…I wanna rock your day!” They played it during the Saturday morning cartoons I watched in high school! LOL I liked how high energy and fun it was, it showed middle school and high school girls playing on swings, with sprinkler, etc. I saw that they did a commerical a couple of years ago on Youtube. Not sure if that ever made it to TV; I stopped watching TV ever since I started college. If you search for lip smackers commercial on Youtube, it will come up. I didn’t like it, its not as energetic. I think they should get Selena Gomez to advertise it! Or another younger girl, maybe Willow, the girl who was on dancing with the stars this past season. No I can’t believe I missed it! That is my Holy Grail!